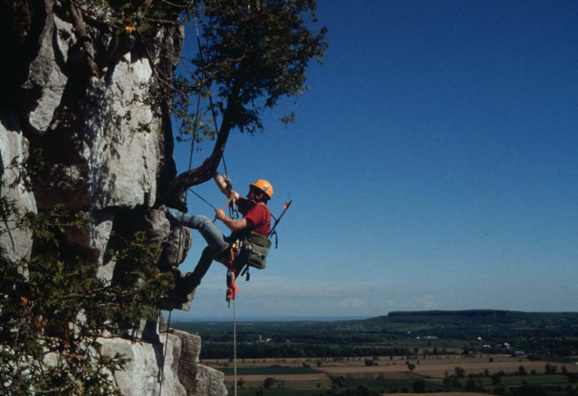 Peter Kelly sampling old Thuja occidentalis on Flowerpot Island. 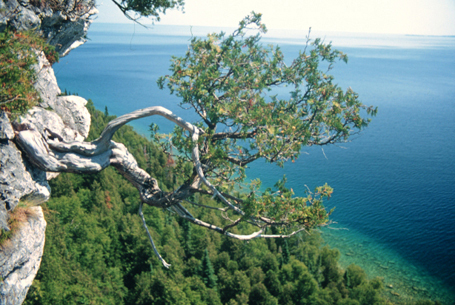 A gnarly & ancient cliff face Thuja occidentalis on Flowerpot Island. Thuja occidentalis 888 RC -- Lake Duparquet, Abitibi-T�miscamingue, Quebec Archambault, 1989; Archambault and Bergeron, 1992. 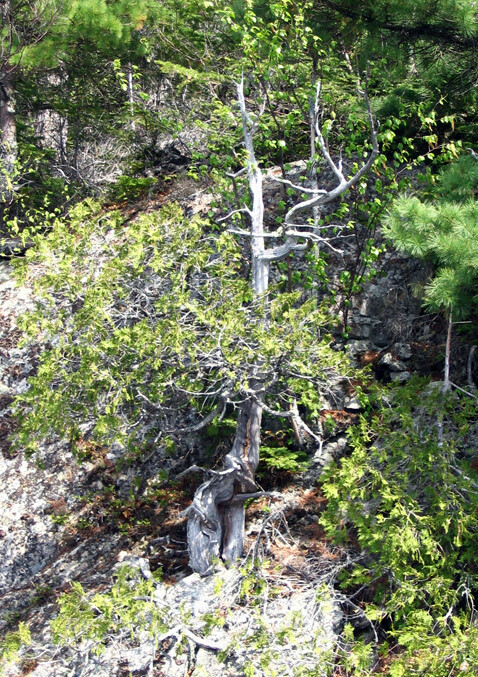 An old Thuja occidentalis (888 yrs old) at Lake Duparquet of the Abitibi-Temiscamingue region in Quebec. Photo taken May 16, 2006. © 2008 Rocky Mountain Tree-Ring Research, Inc. & Eastern Kentucky University - All Rights Reserved.